In Heaven on Earth: The Gifts of Christ in the Divine Service, Arthur Just writes, “God does not need our worship, praise, or service. But we do need His service, His presence, and His gifts of forgiveness, life, and salvation. Whatever praise we give to God, whatever honor is due His name, is our response to God’s service to us.” Dr. Just goes on to explain the importance of the Divine Service and how the liturgy is thoroughly rooted in Scripture. In the following excerpt, he describes the theological overtones in the season of Advent. The tension between the now and the not yet is one of the great themes of the Advent season. On one hand, we prepare for the Christ’s coming in Bethlehem. On the other, we prepare for His second coming at the end of time. This tension between past and future is fully embraced by the congregation in the present as it prepares by meeting the coming Lord in the Lord’s Supper, which proclaims His death and announces His coming in one sacramental act, as He commanded. Thus the tension of this season comes to life in the Sacrament, another expression of the constant tension of the Church’s life under the cross and in light of the new creation. The first Sunday of Advent follows immediately on the heels of four Sundays thick with end-times anticipation. They close off the season of Pentecost. With the first of these eschatological Sundays is the celebration of All Saints, the recognition of our oneness with all who have died and risen with Christ. The eschatology of these last Sundays is a natural one, for nature is dying all around us, the days are getting shorter and colder, and it appears as if the world is dying. What an appropriate time for us to consider the judgment and the end of all things. Following the recognition of the saints and the final judgment, Advent is the dawn of the end-time, because Jesus, the end of all things, is born in Bethlehem. But the eschatology here is different. Advent is a visual revelation of Jesus, the Holy One from heaven, invading our sin-laden cosmos and radically altering it by His presence for its good. Advent and Christmas are about how this apocalyptic invasion of the Christ in His incarnation and birth is the eschatological event. This is inaugurated eschatology, that is, that in the birth, death, and resurrection of Jesus the end times have already begun but have not yet reached their final consummation. When Jesus was made man, it was all over, so to speak, but not yet, in the context of human time. 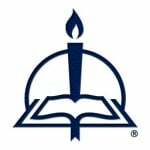 The Gospel for Advent I, the first Gospel of the Church Year, is Jesus’ triumphal entrance into Jerusalem. There is such delicious irony in beginning our year this way, for the entrance of Jesus into Jerusalem is an end-time event. At the end of time, Jesus will come again, to enter and establish a new Jerusalem, where there will be “springs of living water, and God will wipe away every tear from [our] eyes” (Revelation 7:17). We begin our year of living out that reality now as we wait for that day, proclaiming the good news of Christ’s new creation and traveling toward that day. And so when Jesus enters Jerusalem for that first Holy Week, the end is near, the work of redemption is almost finished. What a way to begin a Church Year—in triumph—for Jesus enters Jerusalem as king, but also subdued, for He enters humbly, mounted on a donkey, and this King must die for the sins of the world. We begin the Church Year knowing from the start that Jesus was born to die. Already now on the first Sunday in Advent we have Palm Sunday, Good Friday, and Easter morning in our sights. The Church Year is fully immersed in historical time, chronological time, events that follow each other in sequence and as a consequence of one another. But historical time is merely a platform, a foundation from which eschatological time is erected. In eschatological time, the end has already come, and Jesus, the eschaton Himself, is present bodily in our first Sunday of Advent celebrations. The second and third Sundays of Advent continue with John the Baptist, who himself is an eschatological figure as he calls people to repentance and points them to God’s final judgment when the winnowing fork of the Messiah clears the threshing floor to gather the wheat into His barns but to clear the chaff away to be burnt with unquenchable fire (Luke 3:17). The need for repentance because the end is near is a big theme in Advent. As John prepared for the coming of the Messiah by calling the people of Israel to repentance, so Advent prepares us through repentance for our celebration of the Child’s birth in Bethlehem. Advent is a penitential season, but not in the same way as Lent. Christmas is the first of two climaxes in the festival season; the greater climax at Easter is preceded by a greater time of penance. Advent and Christmas anticipate the birth of the Child, and His death and resurrection on Good Friday and Easter. This sense of hope in the midst of our penitential preparations is signaled by the fourth Sunday in Advent that already now looks to the Child about to be born. Either through the announcement of the birth of the child made to Joseph in Matthew or the one to Mary in Luke or Mary’s great song after conceiving Jesus, we are on the threshold of one of the two great moments in our yearly celebrations—the birth of the Christ Child. From Heaven on Earth: The Gifts of Christ in the Divine Service, pages 133–35 © 2008 Arthur A. Just Jr., published by Concordia Publishing House. All rights reserved. 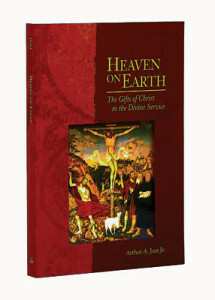 To order Heaven on Earth, please contact CPH at 800-325-3040 or visit www.cph.org.